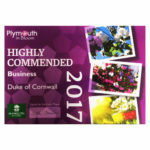 The Duke’s qualities as a business venue have been recognised with a prestigious regional award. We’ve received the bronze in our category at the 2018 Devon Tourism Awards, which was held at Highbullen Hotel in Umberleigh last night. This accolade was for the Business Tourism and Venue category, which selects corporate settings that deliver “an exceptional standard of service and an outstanding, memorable experience”. 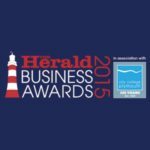 This achievement makes it two-in-a-row for the Duke – we also won bronze in the same category last year. Businesses from across the whole of the county were in contention for this award, so being placed in the top three is a tremendous achievement of which we’re all very proud. We congratulate Salcombe Harbour Hotel & Spa, who won gold, and Highbullen Hotel, Golf & Country Club – also the hosts for this year’s event – who took silver. 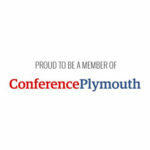 We’ve secured a place for ourselves as a leading destination for business events, attracting both local companies and businesses visiting Plymouth from farther afield. Our wide choice of business spaces for hire is one of the crucial ingredients in the success of our corporate offering. With our grand Ballroom accommodating up to 300 delegates and stylish smaller meeting spaces available too, there’s a room to suit every occasion – from conferences to one-to-one interviews. This versatility, plus tempting business packages and our commitment to the highest standards of hospitality, was clearly a hit with the judging panel too. Our wider range of services also provides plenty for delegates to enjoy. Not least of all, our 2 AA Rosette-awarded restaurant offers a sensational fine dining option right here at the hotel. Plus, our 72 unique bedrooms bring a wide choice of accommodation – perfect for an overnight stay for long-distance attendees and for multi-day conferences. 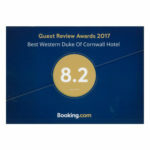 Business tourism is a vital part of our local economy, so this proud moment in the spotlight for the Duke of Cornwall Hotel is great news for us – but a positive for Plymouth and the wider region too. Thank you to the talented photographers who contributed to this blog. All images of the Devon Tourism Award ceremony were taken by Nick Williams Photographer, we think you’ll agree they capture the event perfectly.